The RU series of general-purpose relays from IDEC are available in double pole, 4 pole or 4 pole bifurcated. The double pole models electrically rated to 10A (resistive) at 250VAC/30VDC, 4 pole models to 6A (resistive) at 250VAC/30VDC and 4 pole bifurcated to 3A (resistive) at 250VAC/30VDC. All models within the RU have a rated coil voltage choice of between 24-240VAC or 6-110VDC. 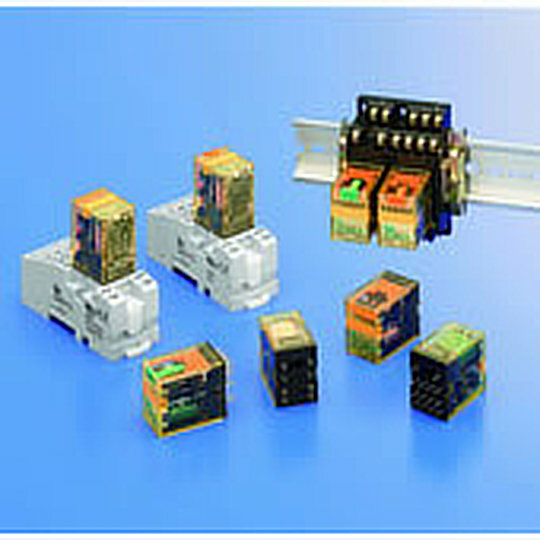 The RU series of general-purpose relays from IDEC are available in double pole, 4 pole or 4 pole bifurcated. The double pole models electrically rated to 10A (resistive) at 250VAC/30VDC, 4 pole models to 6A (resistive) at 250VAC/30VDC and 4 pole bifurcated to 3A (resistive) at 250VAC/30VDC. All models within the RU have a rated coil voltage choice of between 24-240VAC or 6-110VDC. The RU series of relays are available with plug in style terminals with a latching leaver or PCB terminals without latching leaver, the option of high visibility LED indictors and a mechanical life of 100 million operations for DC circuits or 50 million operations for AC circuits.